My Book has a Publisher! Of the beer styles I’ve brewed multiple times, lambic is the one where success has been the slowest to come. Most likely because the skills I pick up brewing pale ale translate to porter, IPA etc. Lambic brewing on the other hand doesn’t even share much in common with other styles of sour beer. Whether it’s the turbid mash, aged hops, spontaneous fermentation, or aging on the primary yeast cake, lambic stands alone. My first two attempts at lambic were lackluster at best, while the third was solid. It seems like the more traditional my process is, the better the results. So for this fourth attempt I went whole hog, the biggest change being a modified spontaneous fermentation. Rather than simply expect wild yeast to land in the cooling wort, I built up three spontaneous starters, eventually pitching the ones I exposed in my backyard and barrel room. Two years ago my goal was to create a drinkable beer, and by that marker this batch was a remarkable success! Appearance – 18 karat gold. Remarkably clear given the starchy wort and spontaneous fermentation. The head doesn’t last more than 30 seconds, quickly dissipating to a few hardy bubbles. Smell – The aroma is fruit forward: cherry, pear, and lemon especially. Slight mineral, with some dusty basement funk. Still tastes vibrant at two years old, fresh cut hay and sea air. Reasonably balanced with no major “off” aromatics (e.g., acetic, diacetyl, sulphur). That said, the aroma doesn’t leap from the glass, despite the relatively warm (60F) serving temperature. Taste – Tart, but not sour. It certainly could be more lactic, but probably isn’t too far off from the softer commercial gueuzes (lie Lindemans Cuvée René). Similar volatiles in the mouth compared to the nose. In addition to the fruit and funk, it has a slightly toasty character (from the grain or the bugs I can’t be sure). The flavor is intricate, but subdued, with lots of elements popping in and dropping out. Mouthfeel – Carbonation is far too low for a gueuze, and the result is a surprisingly full bodied compared to my expectation. On the positive side it isn’t thin (despite the 1.002 FG) or tannic, very pleasant! 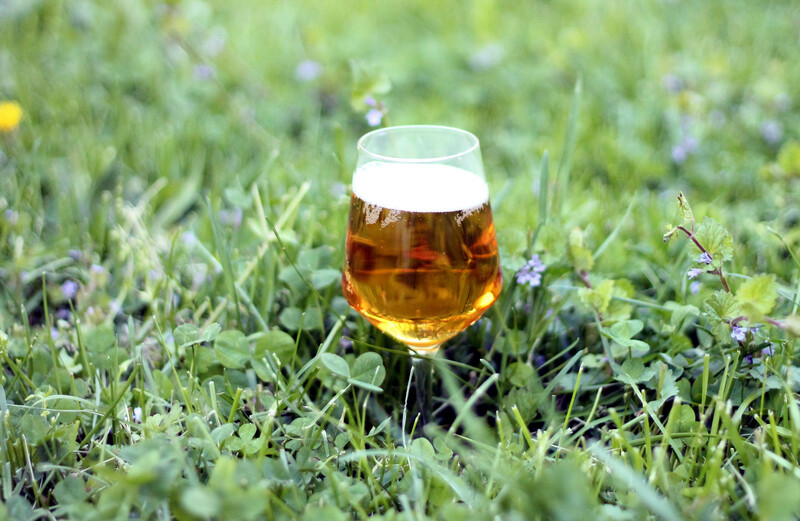 Drinkability & Notes – Considering the way some gueuze brewers and blenders talk, the fact that I produced something drinkable on my first try without blending is a miracle. I think many people would be surprised how reminiscent of a lambic a spontaneous American fermentation can be. Honestly I think this is closer to a lambic than anything you could brew with an unaugmented packaged microbe blend. Congrats! It must be satisfying to see the success of a long-term project like this. Did you re-pitch or inoculate another batch with your DCambic culture? Were any individual strains ever cultured from the guy DC Yeast Lab? 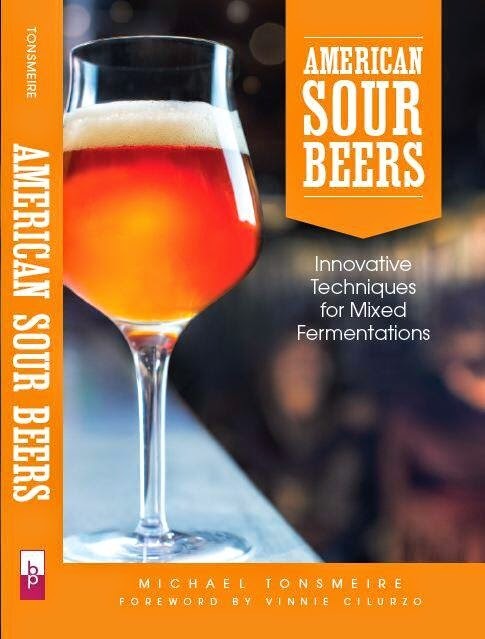 Always fun to find out that the work of brewing a sour beer actually paid off! Claudio recently tweeted some pictures of a fermentation test with two strains he's isolated. Haven't heard any results yet, but looking forward to getting my hands on them! Yeah, I have those two still going. I just moved a few weeks ago and I hope I didn't ruin them in the sunlight. I isolated three (or maybe four) individual yeasts, two of which were almost surely Brettanomyces. One appeared to be 'funkier' and forms a pellicle quickly. The other is a bit cleaner and doesn't appear to form a pellicle. It seemed to come back to life right before I moved, having dropped before. I'm going to give them both a bit more time before I bottle. The third is totally useless for brewing. I'm not sure what it is but it appeared to do nothing when put in wort, although it did grow a very tiny bit. I couldn't pick out any aromatic contributions. The fourth is probably one of the first two, but I kept it separately just in case. Looking forward to playing with the isolates, probably toss them into a barrel at Modern Times and see how they behave! "It seems like the more traditional my process is, the better the results." I've read different thoughts from you about turbid mashing and how necessary it is. As of right now, do you think a turbid mash really does produce a better lambic than doing a single infusion with oats, unmalted wheat, etc.? Or is turbid mashing one step in the "traditional" process that just isn't necessary with modern specialty grains? Necessary, probably not, but I've had good results with the beers I've done it for. It is one of the things that goes into giving lambic its unique character compared to other sour beers. Although it's less important than the true spontaneous fermentation, or aging in well-used barrels etc. If you don't have the equipment/effort for one, you can still make a good lambic-style beer.